Congratulations to Gil Robertson and Shawn Edwards on their tenth anniversary of the African American Film Critics Association (AAFCA) Awards ceremony. I have attended almost every one from the beginning and have seen it evolve to its present joyous state at the Taglyan Complex in Hollywood. Robertson and Edwards started the organization to showcase African-American journalists and their writing about movies by or about African-American filmmakers at a time when there was felt to be a need for "Black Oscars." This year, there were plenty of movies to celebrate. 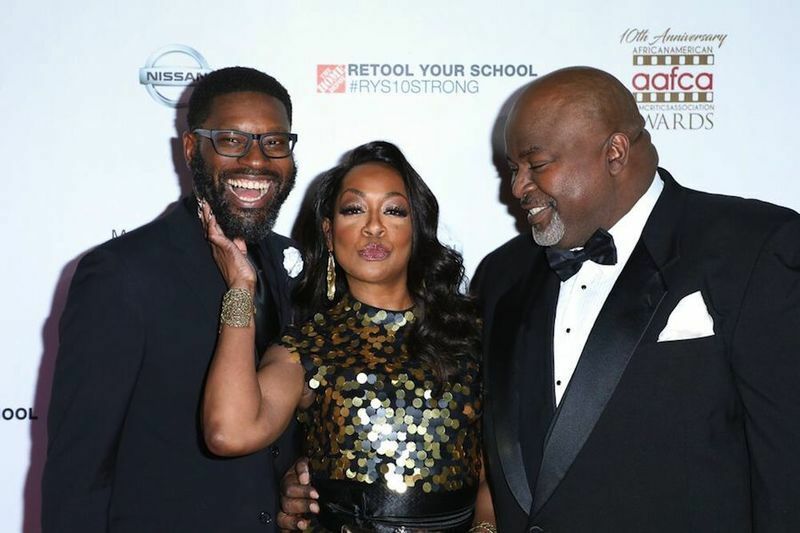 Actress, comedian and singer Tichina Arnold presided over the festivities as Mistress of Ceremonies, setting the tone for an evening full of comedy and celebration. Her shout-out from the stage to music icon Quincy Jones in the audience led the way for almost every award winner to pay homage to Maestro Q. And when the 80+ years impresario went to accept the inaugural AAFCA Stanley Kramer Award, he did not disappoint. He boogied to the music all the way up to the podium. Ryan Coogler's "Black Panther," the highest-grossing film of 2018, was the night's big winner, honored with three accolades for Best Film, Best Director and Best Song ("All the Stars"). "BlacKkKlansman," the first picture to earn trailblazing filmmaker Spike Lee Oscar nominations for Best Picture and Best Director, received awards for Best Actor (John David Washington) and Best Screenplay (Charlie Wachtel & David Rabinowitz and Kevin Willmott & Spike Lee). 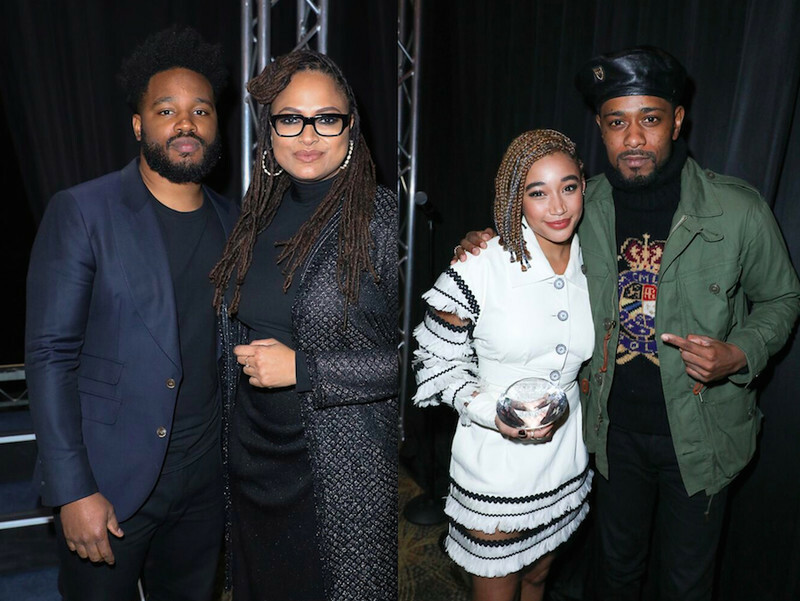 Best Director winner Ryan Coogler with Ava DuVernay; Best Breakthrough Performance recipient Amandla Stenberg with Lakeith Stanfield. Photo credit: ©2019 Sheri Determan. George Tillman Jr.'s powerfully acted Angie Thomas adaptation, "The Hate U Give," earned awards for Best Breakthrough Performance (Amandla Stenberg) and Best Supporting Actor (Russell Hornsby). Two mighty Reginas took home top acting honors for women: Regina King of "Support the Girls" won Best Actress, while Oscar frontrunner Regina King ("If Beale Street Could Talk") was crowned Best Supporting Actress. King's collaboration with "Moonlight" director Barry Jenkins was also named Best Independent Film. Alfonso Cuarón's "Roma" won Best Foreign Film, while Alan Hicks and Rashida Jones' "Quincy" was awarded Best Documentary. On its way to possibly becoming the first Marvel film to earn a major Oscar, Bob Persichetti, Peter Ramsey and Rodney Rothman's "Spider-Man: Into the Spider-Verse" was named Best Animated Film. Rounding out the rest of the winners were "Queen Sugar" (Best TV Drama), "Insecure" (Best TV Comedy) and "Red Table Talk" (Best New Media). Jason Blum of Blumhouse accepted the Cinema Vanguard Award for producing films such as "Get Out" and "BlacKkKlansman," and gave a moving speech about racial healing. He emphasized, however, that he works with women and people of color not because it's the right thing to do, but because he searches for the best, and it's good for business. Taking home the Breakthrough Filmmaker Award was Aneesh Chaganty for his acclaimed thriller, "Searching," which provided a plum lead role for Asian-American actor John Cho. 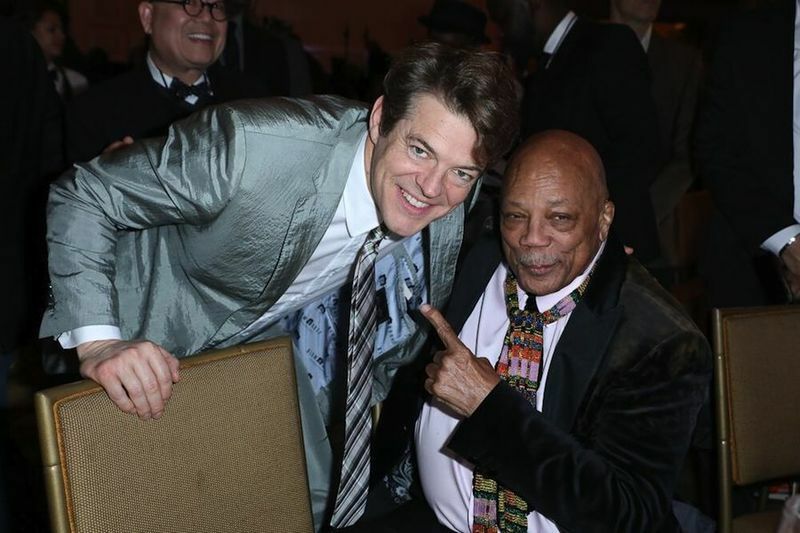 Jason Blum, winner of the Cinema Vanguard Award, with Quincy Jones, winner of the Stanley Kramer Award. Photo credit: ©2019 Sheri Determan. Four days prior to the awards night, AAFCA held its fifth annual Special Achievement Awards luncheon at the California Yacht Club in Marina Del Rey. The event honored seven amazing talents including Pulitzer Prize-winning critic Wesley Morris of The New York Times, whom I was proud to present The Roger Ebert Award, and Tendo Nagenda, Vice President of Original Film at Netflix, who earned The Ashley Boone Award, named for the brother of former Academy head, Carol Boone Isaacs. Buddy Bolden, the legendary musician credited as the originator of jazz, was honored posthumously with the Pioneer Award and a clip of a movie about him by Dan Pritzker was shown. Kelly Edwards, Senior Vice President of Talent Development at HBO, received the Salute to Excellence Award and Alana Mayo, Head of Production at Outlier Society, was given the Horizon Award Ruth Carter, the Oscar-nominated costume designer of "Black Panther," received a rousing standing ovation with her speech about how her contributions added to culture and the arts. When asked if she had ever designed clothes for a superhero, she responded that all of her previous movie characters were superheroes. She won the Nissan Innovator Award. The audience was also happy to see Jon M. Chu presented with the Game Changer Award for his groundbreaking hit comedy, "Crazy Rich Asians." AAFCA co-founders Shawn Edwards and Gil Robertson with MC Tichina Arnold. Photo credit: ©2019 Sheri Determan. For more information on the African American Film Critics Association, visit its official site. Header photo: MC Tichina Arnold with Quincy Jones. Photo credit: ©2019 Sheri Determan.